Hi friends! If you're located in the U.S., happy (almost!) Fourth of July! For everyone else, I hope you are having a fabulous Monday! I'm currently writing this from my hotel room in Lake Tahoe and am enjoying the fresh air and spending time with family. Are you doing anything fun this week? (Sidenote: Would y'all be interested in a travel guide to Lake Tahoe? LMK!) It's actually scaring me how fast the summer is going by, and yes, I know I say that in basically every post, but it's true! One minute I'm graduating college thinking I have three months of blissful free time, and then I blink and realize that one of those months is already gone. Honestly I'm just trying to procrastinate a little before I transition into the full adult world, and I want these next few months to last forever!! Speaking of summer though, I've been asked to share some of my favorite swimwear pieces recently! I understand I'm coming in a wee bit late on the whole subject since we're already well into the season, but there's always an excuse to buy another swimsuit, right? I realized I hadn't written about the subject since February and it is LONG overdue! 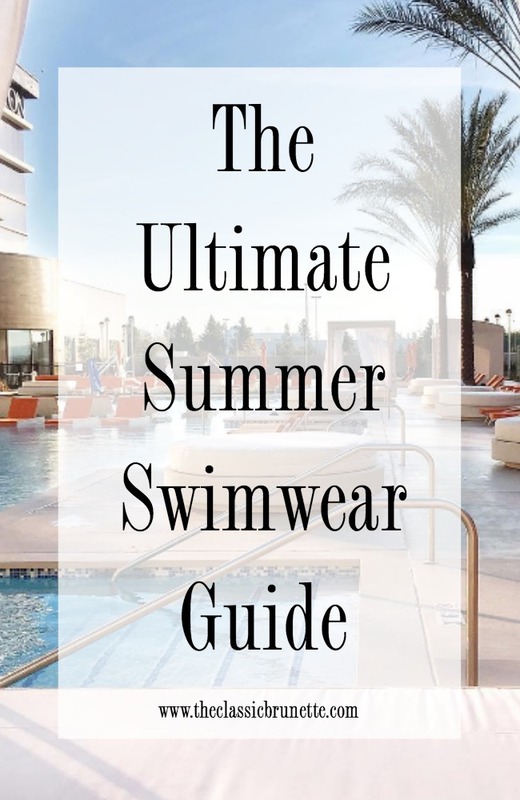 I'm actually in the market for a new swimsuit myself, so I'll be shopping through these looks as well! I've separated the styles into one pieces, bikinis, and coverups, all my personal favorites! Let me know what your favorite look is and how you're spending the rest of your summer! Oh, yes! You did a fantastic job! I love the swimsuit fashions! Especially Mermaid Off Duty!